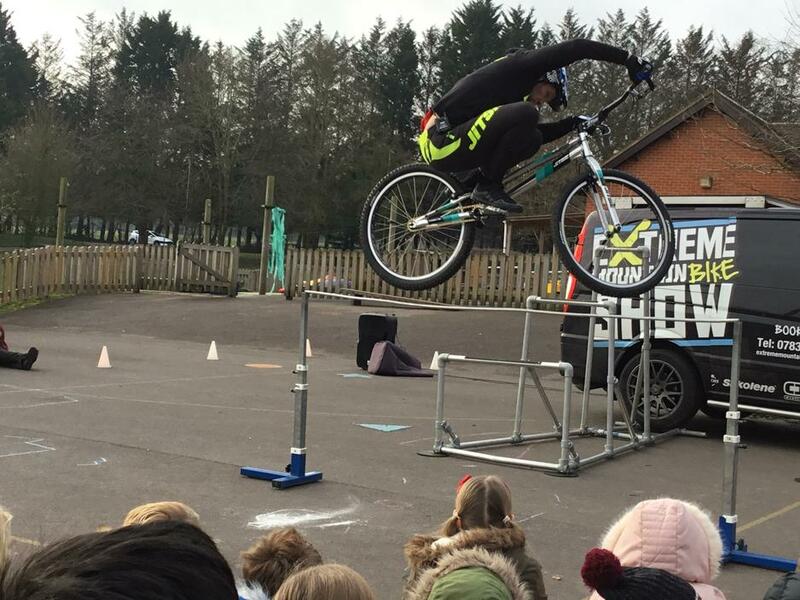 Danny Butler, who has won medals for his extreme bike stunts and represents Team GB, visted the children to demonstrate his skills and talk to them about developing resilience and confidence. Danny was bullied when he was younger and now enjoys visiting schools with an upbeat message about developing belief in yourself and inspiring others . 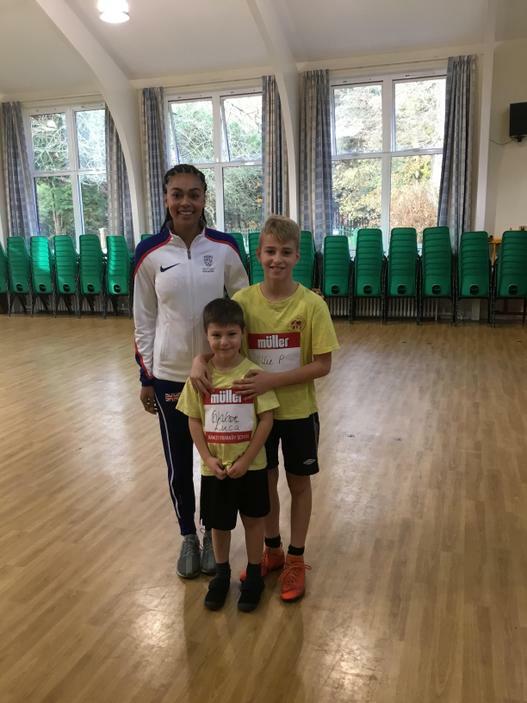 GB Athlete Adelle Tracey visited the children at Hawley as part of a prize from the Muller Yoghurt Company won by a family who have children at our school. 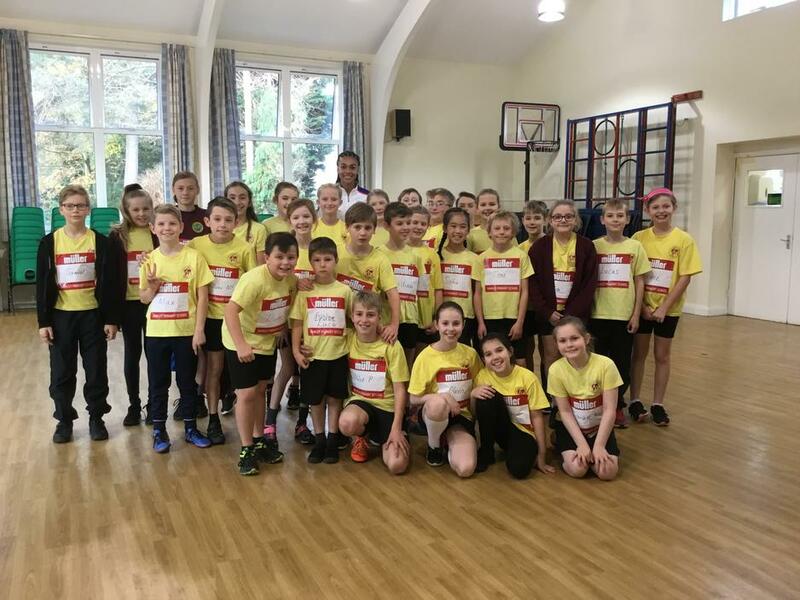 Adelle spoke to the children about her experiences competing as part of the GB Team and then supervised some training sessions for the children in their individual class groups. 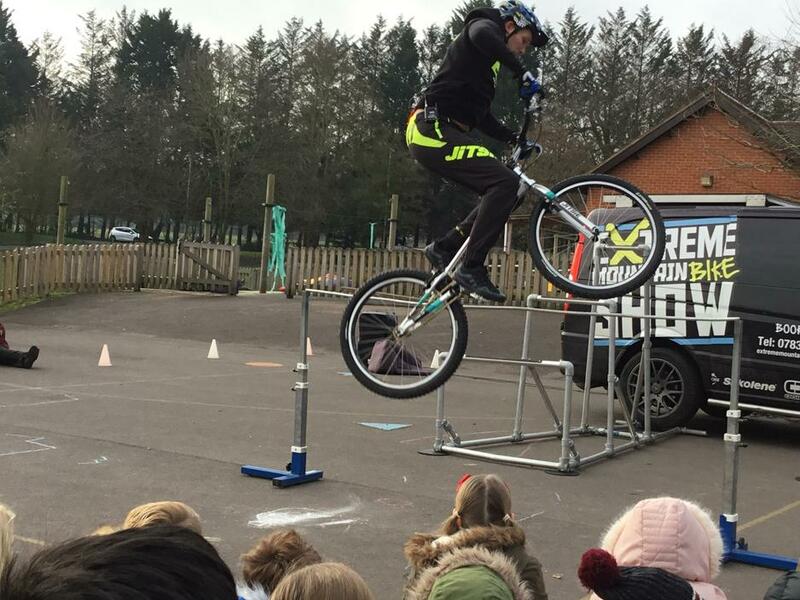 The Hawley School Association organised a visit from Happys Circus in September so it was decided to focus the whole school curriculum on the theme of Circus during the first part of the Autumn term. 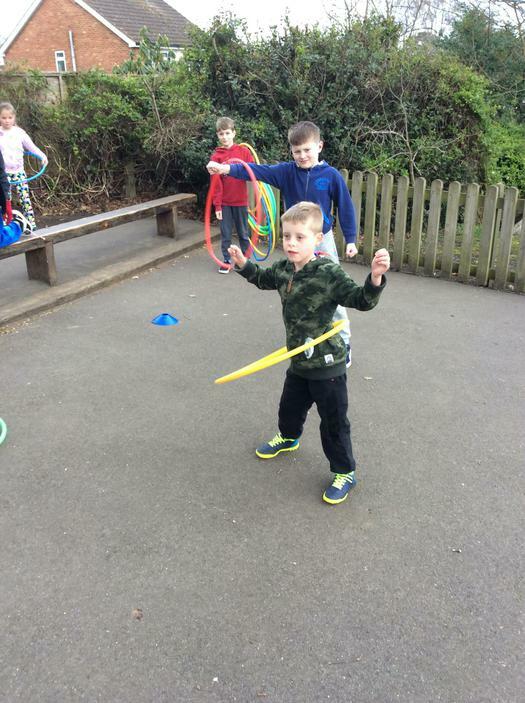 The children have been learning all about the different characters in the circus and exploring and deciding where would be the best location to site their own circus amongst other things. There was great excitement when the Big Top arrived and was erected on the school field and the show in the evening was very well received with all the children and parents attending having a great time. 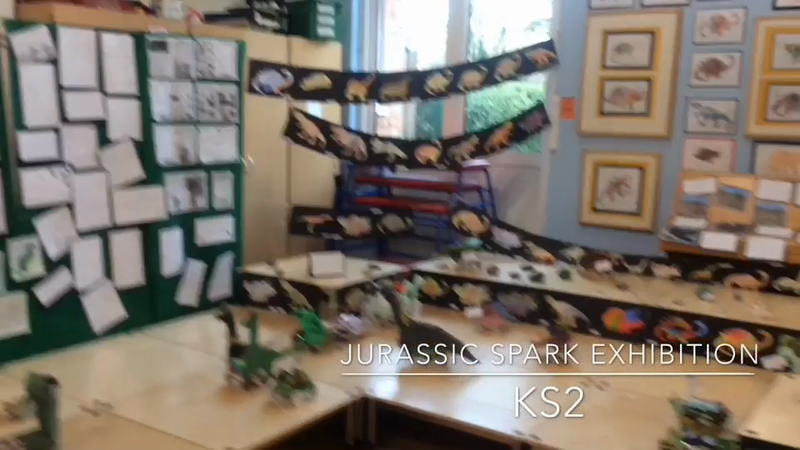 After the visit from the T-Rex in March every year group emmersed itself in the a dinosaur topic resulted in some wonderfully creative work which was displayed for parents to see before the Easter break. 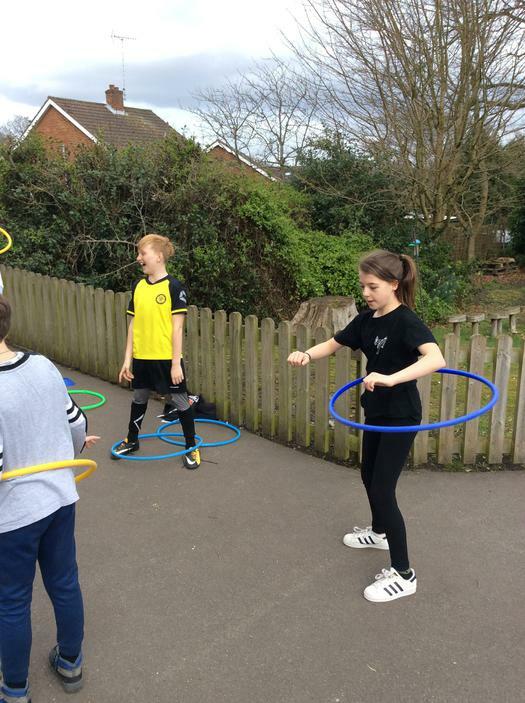 The School Council organising lots of fun sporty activities for the children to take part in during the morning of Sport Relief Day on Friday 23rd March. 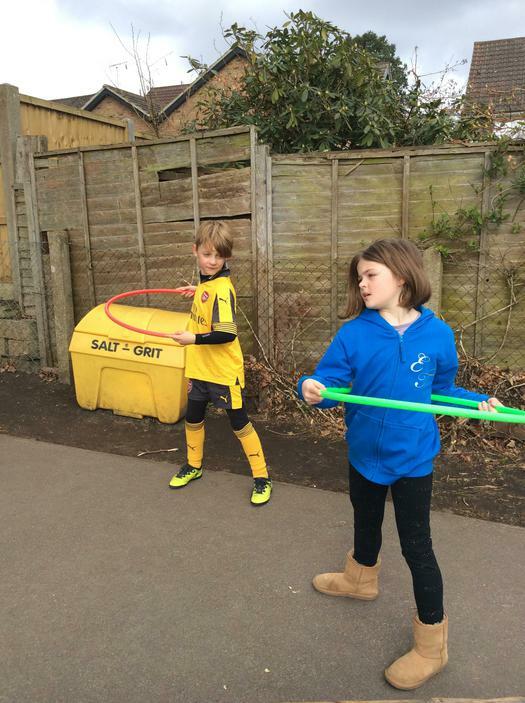 The children were also invited to dress up in their favourite sports gear for the day in return for a small donation to this charity. 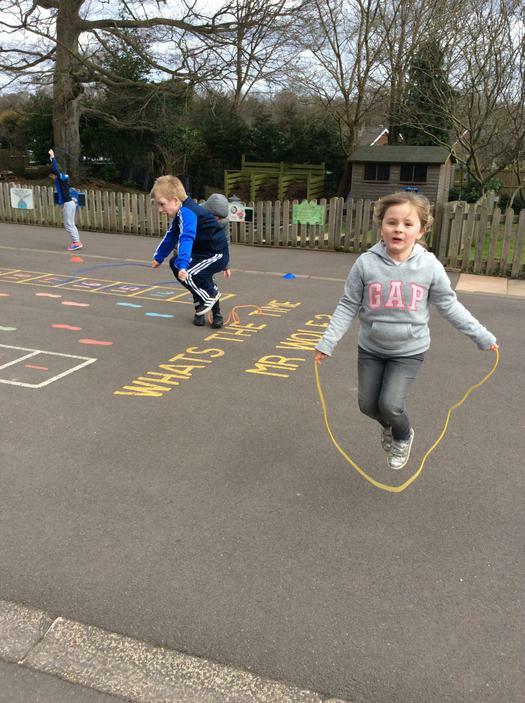 Everyone had lots of fun and a total of £307.44 was raised! 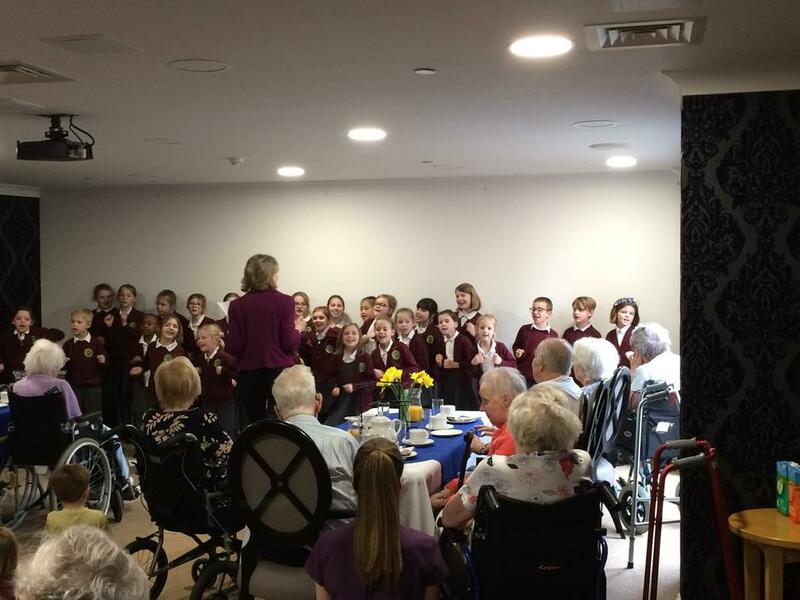 As part of our Easter celebrations the school choir visited the residents at Gracewell, a care home within our community, to sing a variety of seasonal songs. 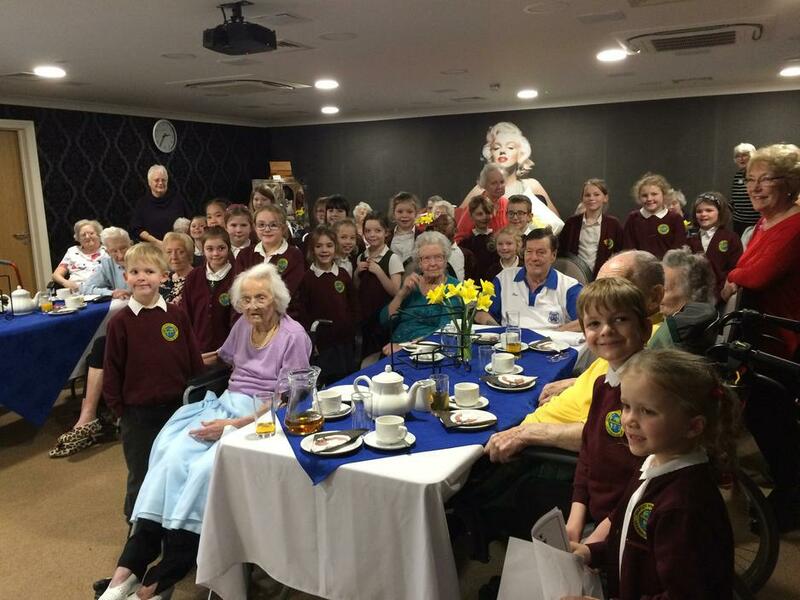 The residents were delighted to welcome our children and all commented on the lovely singing and excellent behaviour. Well done to the members of the choir. 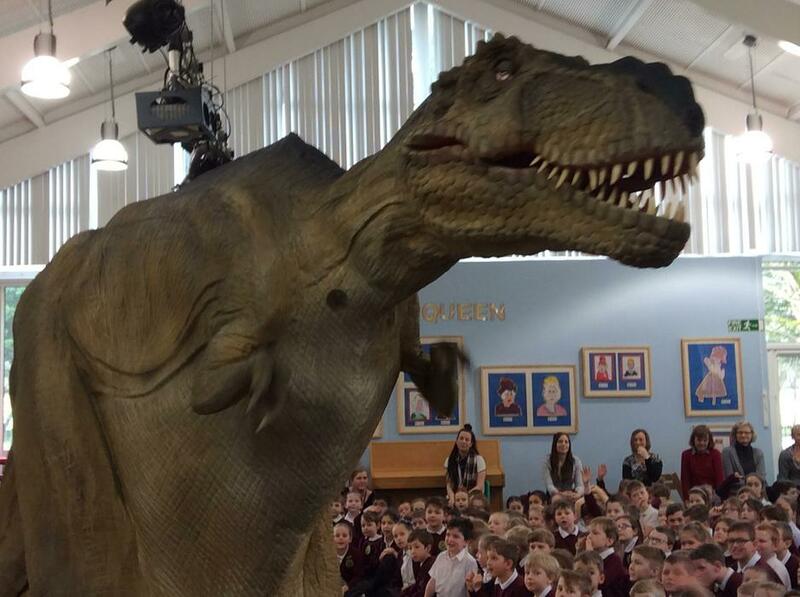 The children had a big surprise during assembly on 6th March when a Ranger came in and interrupted Mrs Galpin as he had lost his pet, Rex. 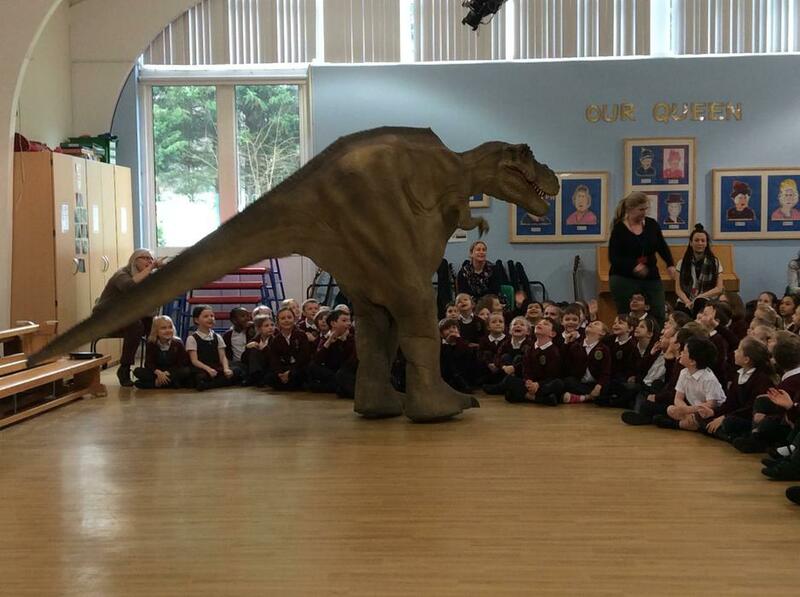 The children agreed to help call for it and eventually found they were joined by a 17ft tall Tyrannasaurus Rex! 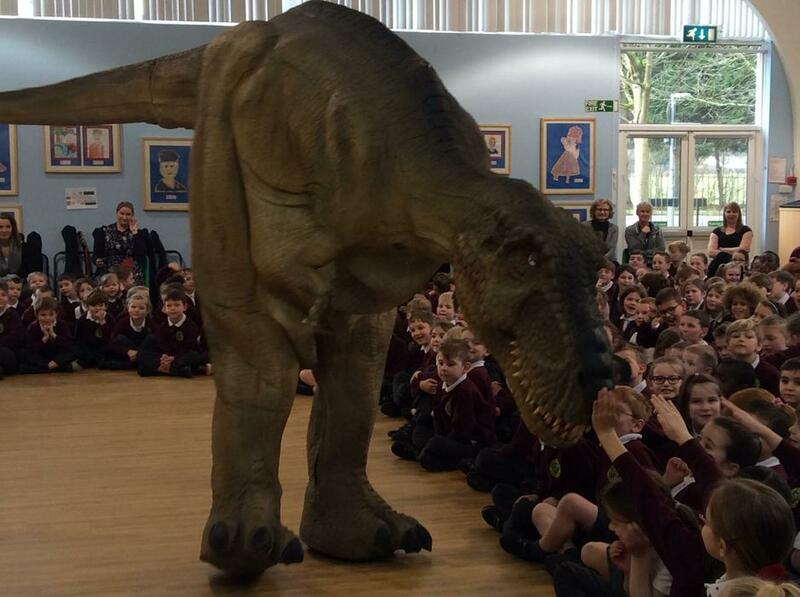 Both he and the Ranger spent some time with the children enjoying the attention and teaching them some songs. This was followed after break with a question and answer session. The whole event has launched a four week whole school project which will include creative writing, art, history and design technology. 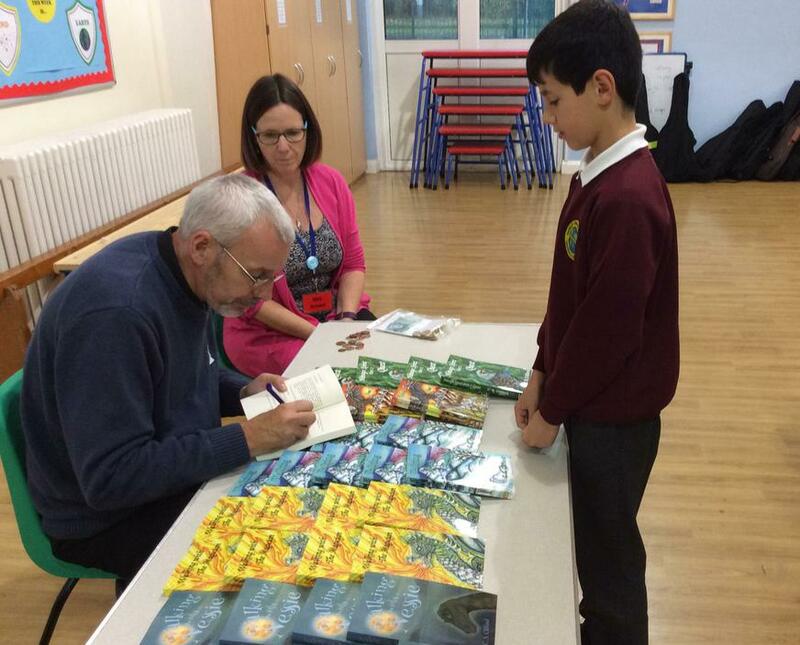 The children in KS2 were fortunate to be visited by Steve Gifford, author of the 'Walking With' series of books in November. 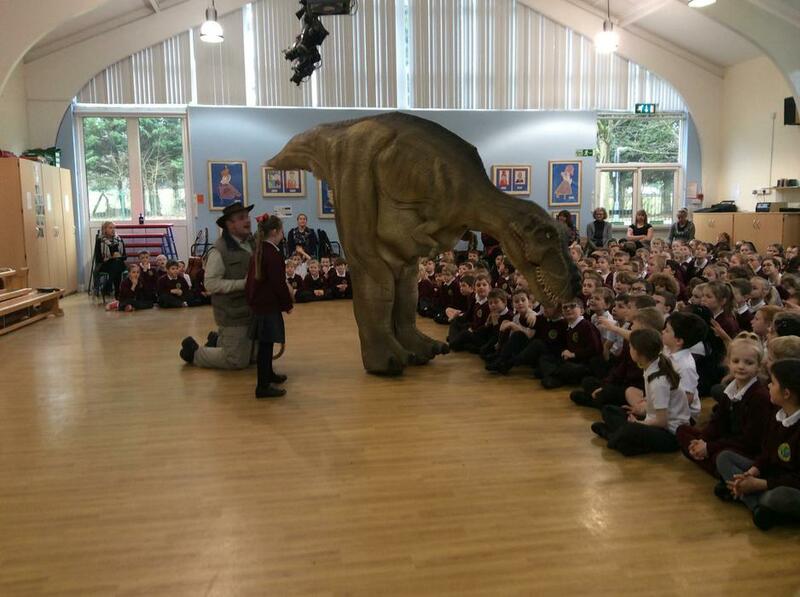 Steve’s visit involved an interactive presentation, telling the story of two young teenagers who discover a portal. 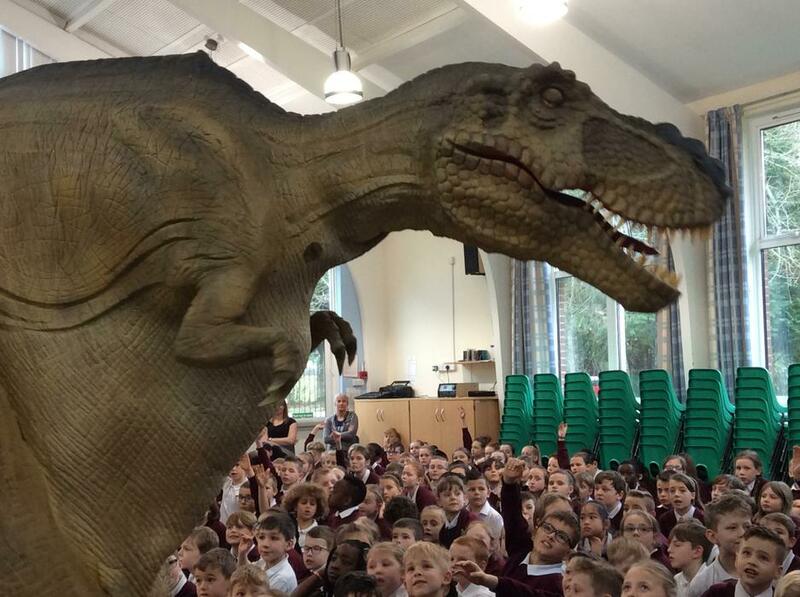 Every time they venture through they are transported back to the past where they take on the bodies of people from that time period whilst retaining their young minds. After the presentation, Steve held writing workshops in each KS2 class promoting reading and inspiring the children’s’ creative writing. 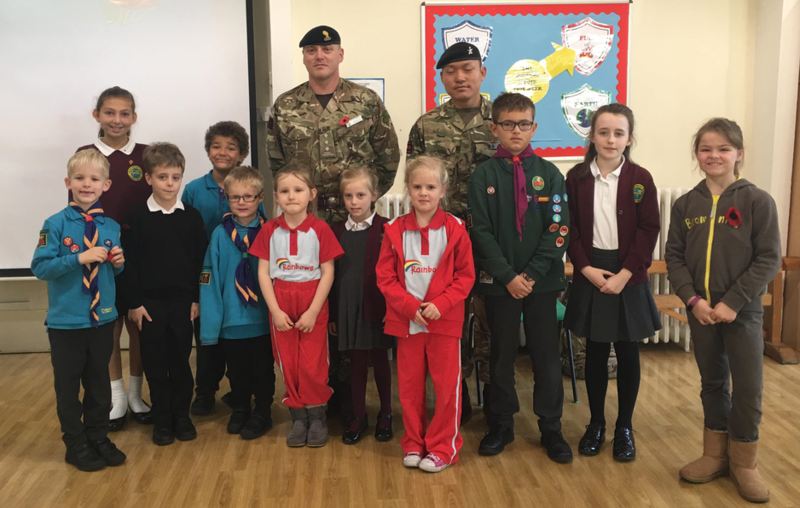 The children were joined by Captain Small and Staff Seargent Eka from Gibralter Barracks for our Assembly of Remembrance on Friday 10th November. 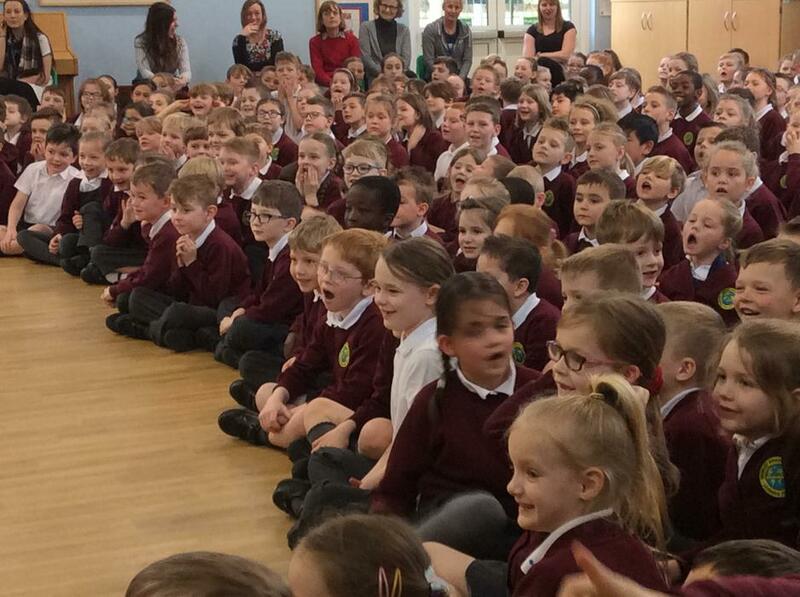 The children all listened in earnest to readings and recollections during the assembly with many children dressing in Scouting or Guiding uniforms to mark the occasion. 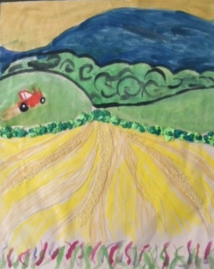 The children gathered together to celebrate Harvest Festival this year with Harvest songs and poems from KS1 and Early Years and a retelling of The Greenling by Levi Pinfold from KS2. The parents were very generous as always with their donations of food which this year were given to the Farnborough Foodbank. We were delighted to discover we donated 236.1kg of food to this worthy cause. 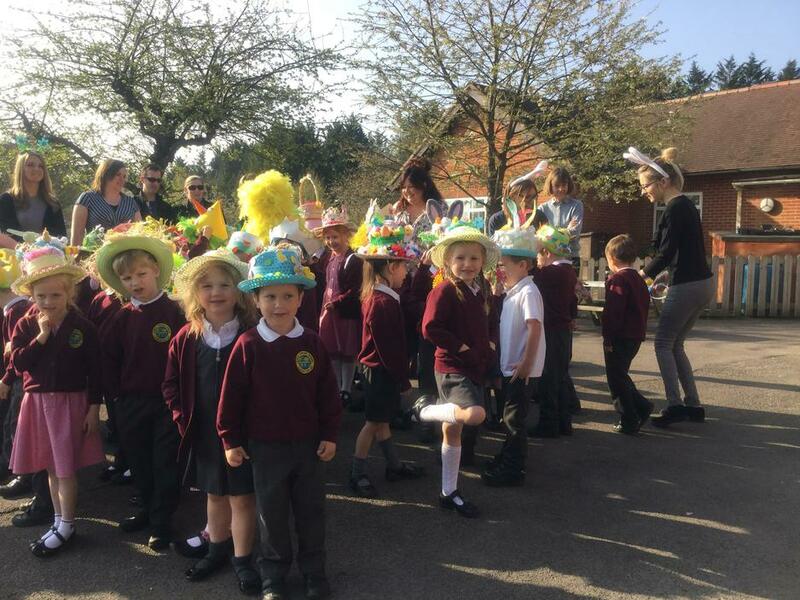 The children in KS1 and EYFS had lots of fun creating some wonderful Easter Hats that they were able to show off to the staff and parents during our annual Easter Hat Parade. To celebrate Mother's Day we invited Mums, Grans and Aunts to have lunch with the children at Hawley. 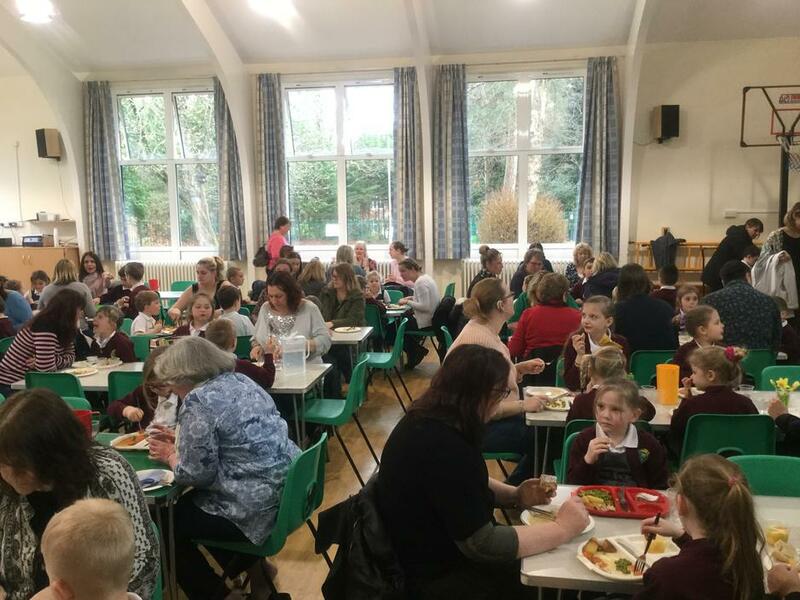 We welcomed 275 adults over two days who enjoyed a lunch of Roast Chicken or Vegetarian Sausage Puff beautifully cooked by the kitchen team who had the mammoth task of preparing over 650 meals during the two lunchtimes. 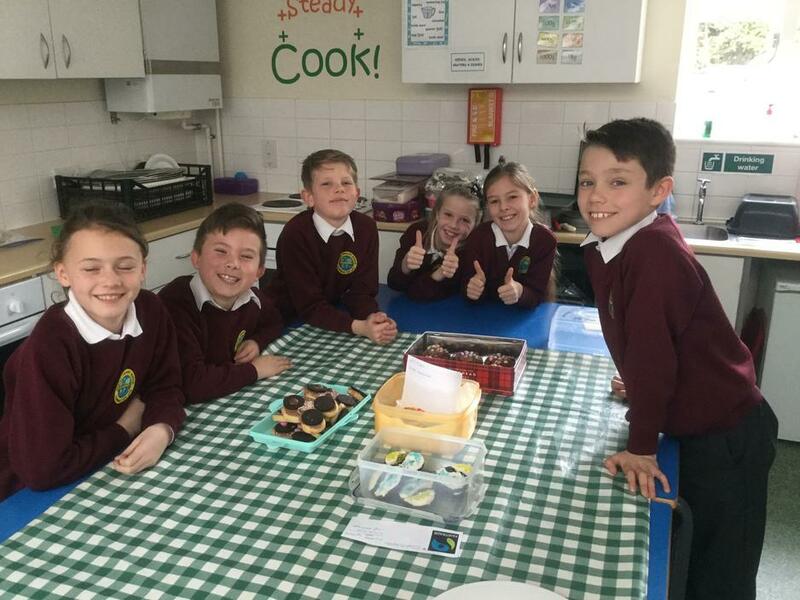 The children in the Fairtrade Team decided to organise a Hawley Primary Bake-Off with some amazing results. 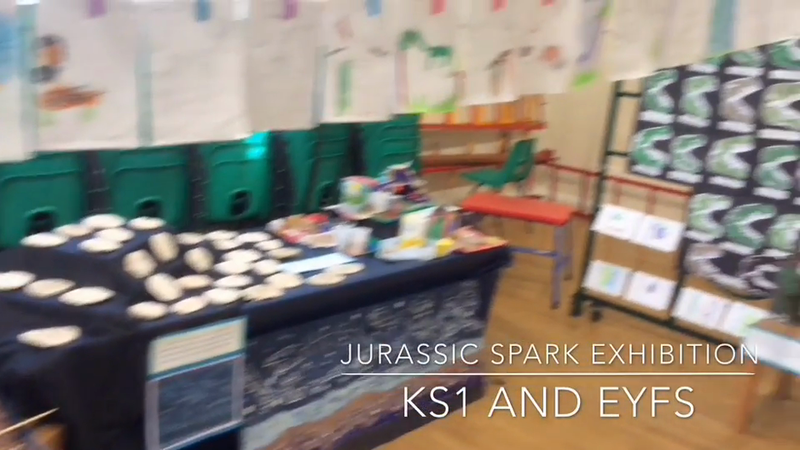 Children in EYFS and KS1 were invited to make biscuits and the children in KS2 were invited to make cupcakes to be entered into the Bake-Off. Each entry had to contain at least one Fairtrade ingredient and each entry was judged on taste, presentation and how well it fitted the Fairtrade brief. Well done to the winners who were; EYFS & KS1 Tia A and KS2 Kieran H . The biscuits and cakes were sold at the end of the day and as a result the Team are able to donate in excess of £200 to Fairtrade. 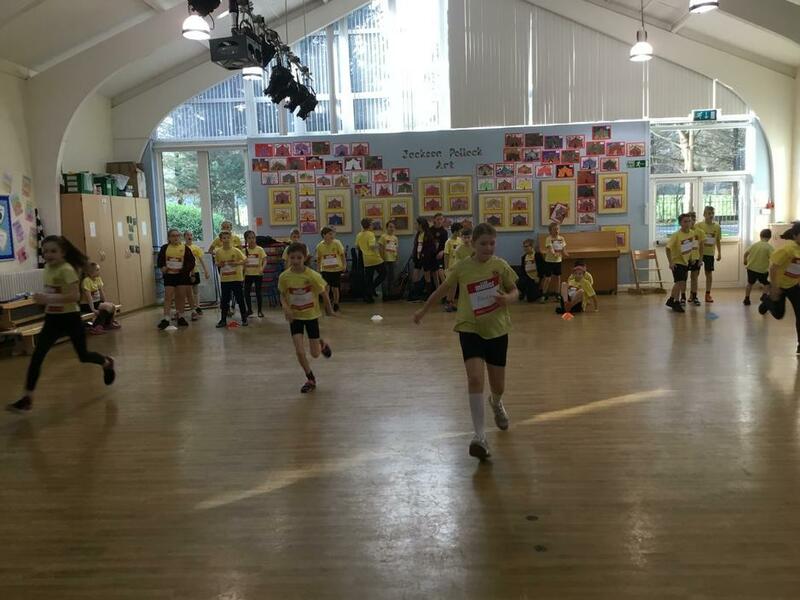 Our School Council wanted to support the NSPCC and to raise funds for the charity they decided to run a sponsored Dance-a-thon on Friday 10th March. 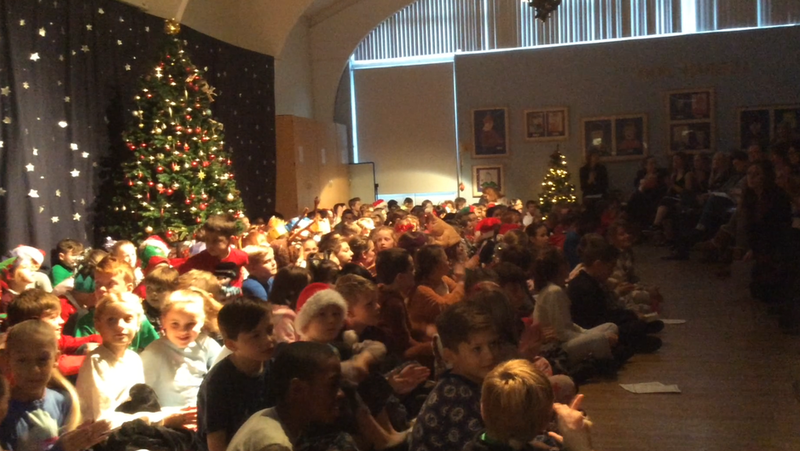 The whole school were invited to take part in the dancing which took place during the day, either in individual classrooms or as a 'flashmob' on the playground. 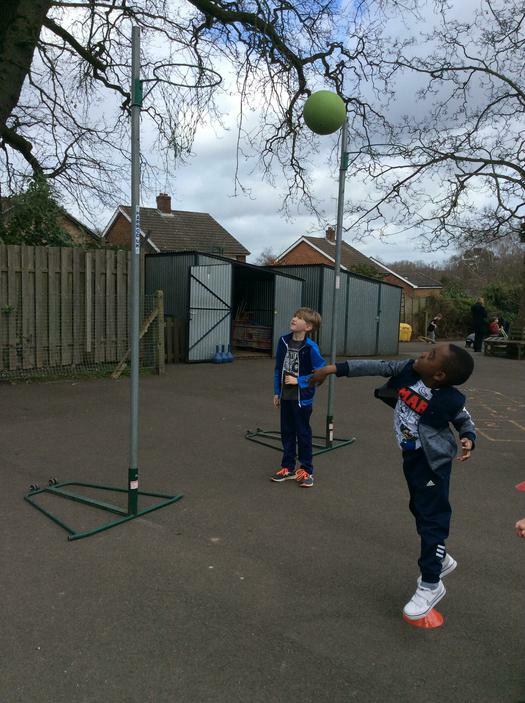 Please take a look at the video below to see the children in action. This year for World Book Day we decided that instead of dressing up, we would all bring in our favourite book to share with others. 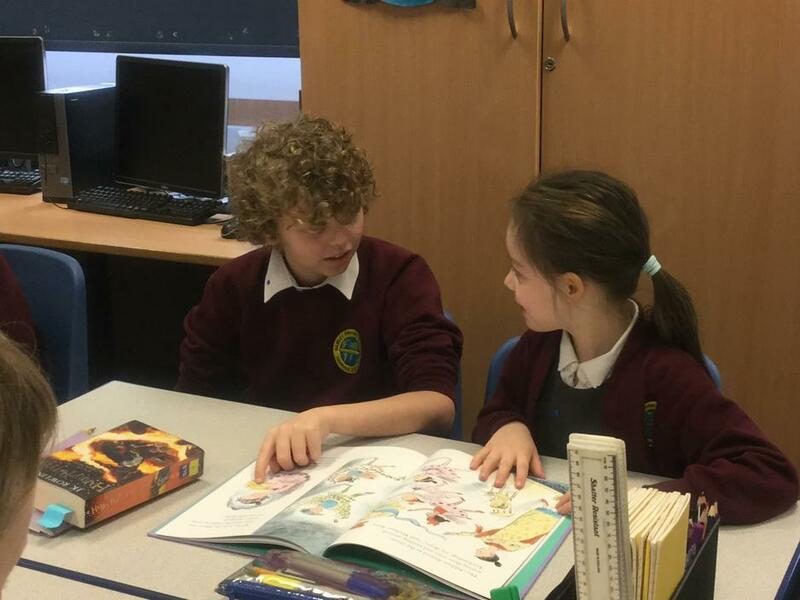 The children had a lovely day sharing their books with friends across the year groups and all enjoyed the 'Mystery' Readers (unexpected guests)that appeared in their classrooms at 3.00pm to read them a story. 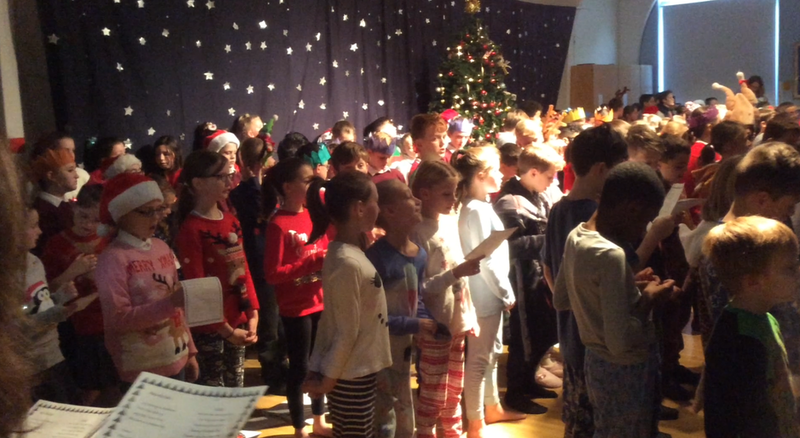 The children enjoyed celebrating Christmas 2016 during the last week of term with pupils in KS2 hosting Carols Around the Tree with the family and friends and the whole school sitting down together to enjoy Christmas dinner. 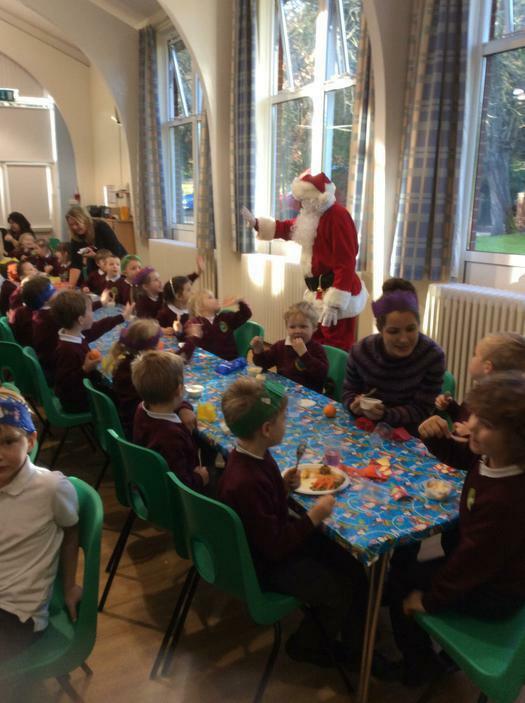 We even had a special visitor! 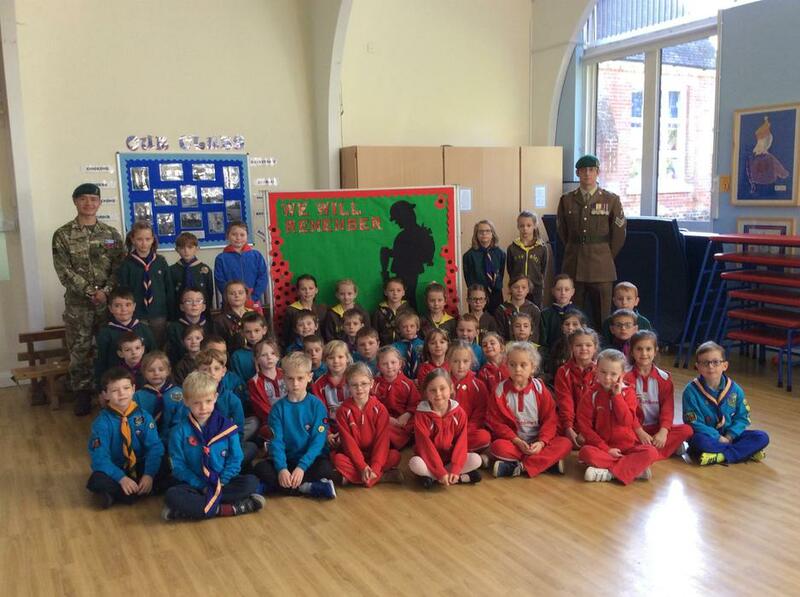 To commemorate Remembrance Day on Friday 11th November two serving soldiers, SSgt Rai from The Royal Engineers Gurkhas and SSgt Robinson from the Royal Engineers at Gibralter Barracks, Minley, visited Hawley Primary during the morning to lead assembly and our two minute silence. After assembly they visited the classes to talk to the children and answer their questions before joining us for lunch hosted by our School Council. 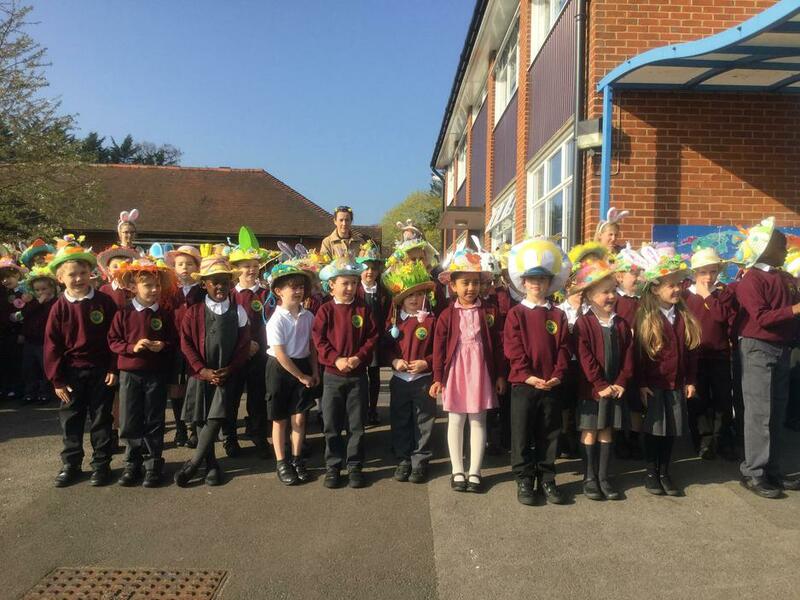 At the end of October the children at Hawley joined forces with children from our 'cluster' of local schools to create 'A Right Royal Exhibition' at Frogmore Infant School. 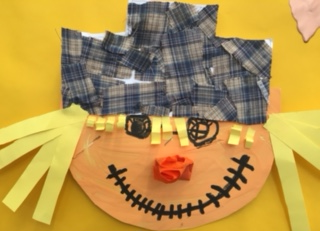 The royal theme was interpreted differently by our different year groups and we produced portraits using paint, collage and ink, crowns using card and clay, teapots and teacups from papier mache and a brick wall portrait in the style of Banksy. 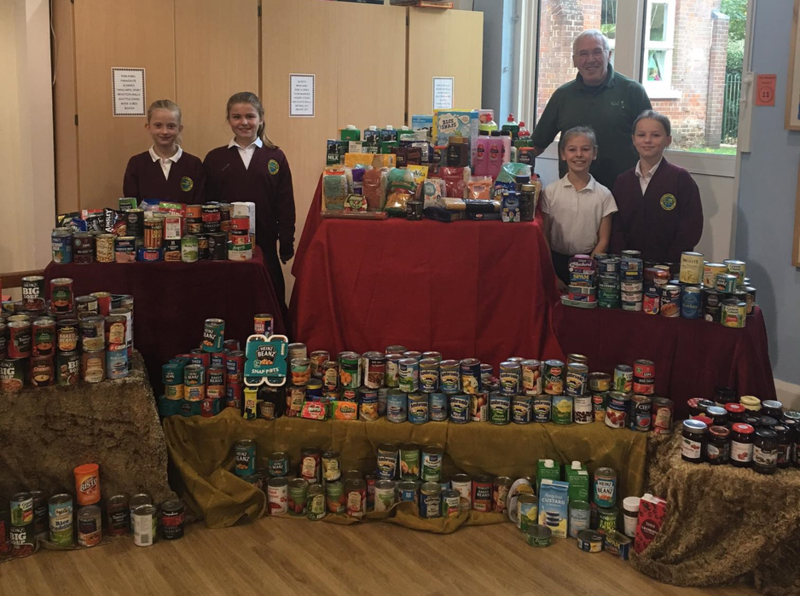 We held our traditional annual harvest celebrations again this year on Thursday 29th September and as usual we received very generous donations of produce from our parents which this year have been donated to the ‘Hart Foodbank’. The Foodbank offers to help feed local people in crisis through the provision of emergency food supplies donated by churches, schools, businesses and the general public. As well as receiving nutritionally balanced 3 day food parcels, people are welcomed with a cup of tea, listened to and sig nposted to agencies that are able to help resolve the underlying cause of their problems.